Different things have taken up my time lately, so not much has been going on related to engraving and knife making. But the other day I engraved a spoon. 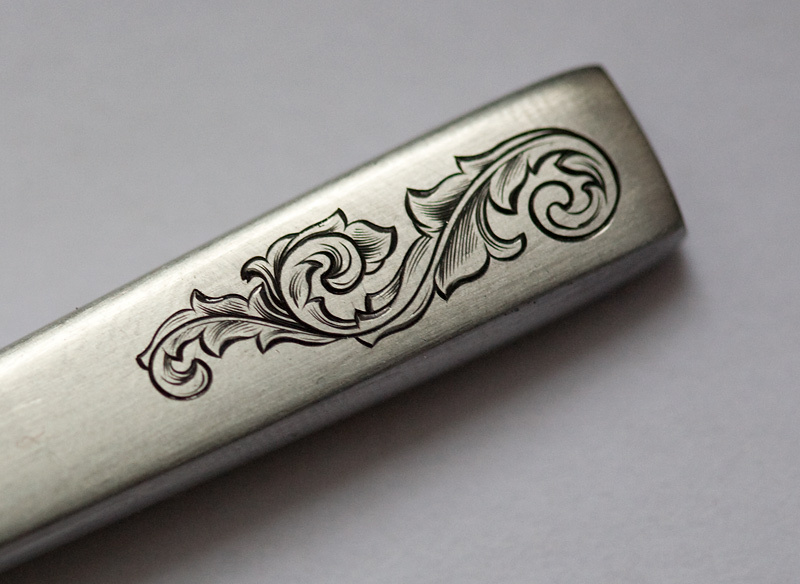 It was again sort of experiment – I did not prepare the design beforehand, but made it up as I started the engraving. 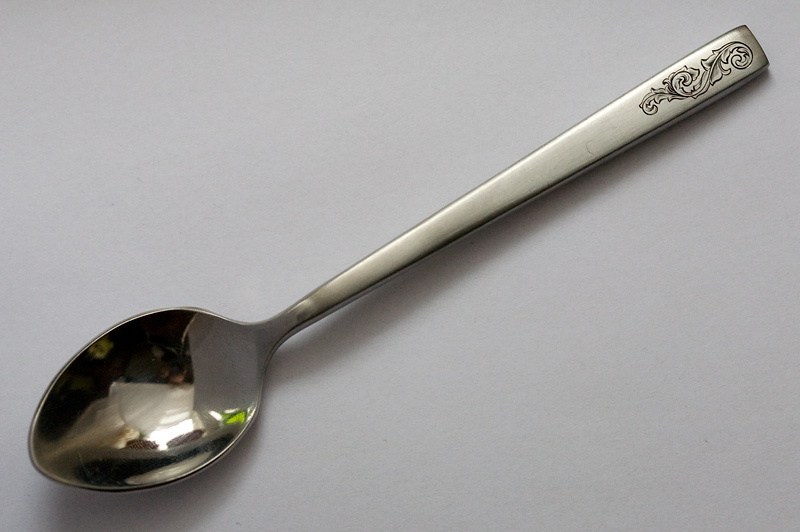 Also, this was the first spoon I found, or actually any other kitchenware, that wasn’t made of terribly hard metal and was easily engrave-able.